Super Multi-talented R&B/Afro-pop singer, A-Cool, is back with his sophomore single titled “ Brain Burst ”. 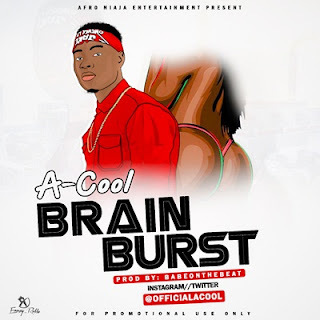 Following the successful release of his debut offering “ Fear ” under AfroNaija Entertainment Hitting Over 70,000 Downloads, A-Cool delivers this extremely vibrant record " Brain Burst " . Production Credit Goes To BabeOnTheBeat .